Recently, I bragged on my personal Facebook account that I had a good day. That I only cried once, and since it was about the fact that supergroups never work out, it didn’t really count. Many supergroups, too pure and precious to ever grace this cruel, broken world (looking at you, Tapeworm), dissolve into nothing but broken dreams. So when I hear the siren call of “Alt-rock icons, assemble!” I instinctively brace for failure and disappointment. The climate-change film Before the Flood consists of its own supergroup of sorts: director Fisher Stevens (Hackers), Brett Ratner (X-Men: The Last Stand), Martin Scorsese (everything), and Leonardo DiCaprio (something about a boat), among others. The film has been on my radar for a long time, specifically due to the original soundtrack. There were rumors of Trent Reznor (Nine Inch Nails) joining forces with Gustavo Santaolalla—if he sounds familiar it’s because his acoustic guitar strumming provided the soundscape for The Last of Us, which by the way is the only game I would call, without hesitation, “perfect”—plus Reznor collaborator Atticus Ross and freaking Mogwai. And as of October 21, it was no longer just a rumor. The soundtrack hit iTunes and some streaming services after a sneak peek of the track “A Minute to Breathe” made an appearance a while back. I haven’t seen the film, which debuts today on National Geographic, so my commentary on the album is limited to its music as a standalone record, not as a functional soundtrack. And as a record, it is brilliant. It sounds like you’d expect something from Reznor, Santaolalla, and freaking Mogwai to sound. Droning while still melodic, there is a haunted desperation present that serves as a spine and keeps the whole thing cohesive. Who did what is obvious here, giving each contributing artist what feels like an equal and distinctive voice. As different as they are, they complement each other so well that it never feels sloppy or lost. It’s beautiful and contemplative, vivid in its ambience. And while this is an album I will listen to over and over and over again without skipping a single track, “A Minute to Breathe”—the one vocal piece—steals the show. Reznor’s voice is familiar in such an indescribably cathartic way, like going home again, or rather realizing you were there all along. His vulnerable, wavering singing backed by soft and mournful plodding piano is a hug you didn’t know you needed, and suddenly you’re all snot and tears and sobs. Santaolalla’s guitar is supremely powerful here as well, for the same reason it was so affecting in The Last of Us. It feels organic among the chaos. And Mogwai . . . well, it’s freaking Mogwai. The only disappointing thing about this album is that its release was digital. There will apparently be a physical vinyl release forthcoming, but for old folk like me who are caught up in the sentimentality of collections, this is irksome. 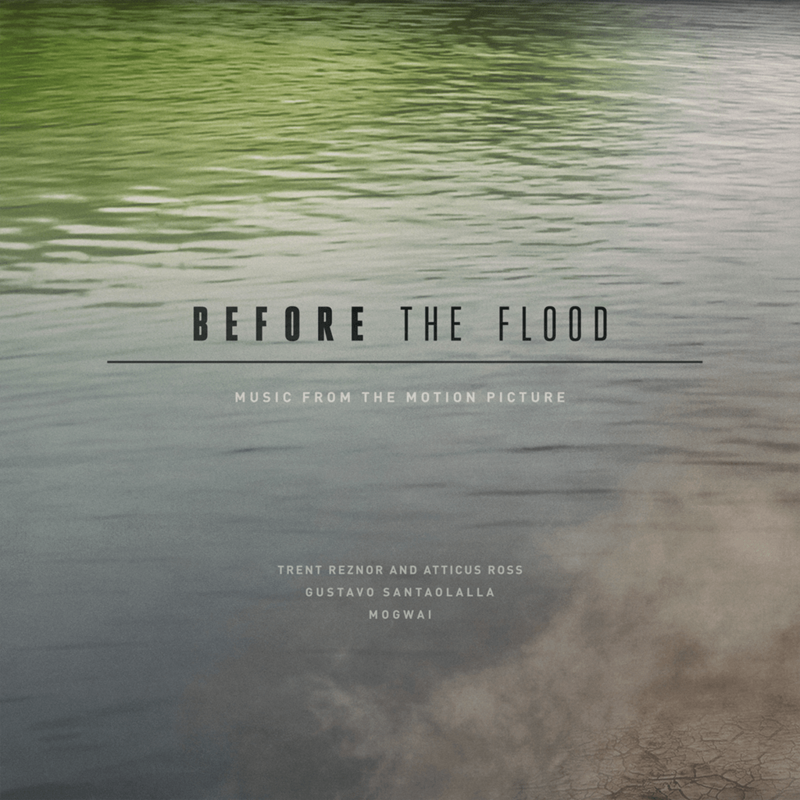 Before the Flood certainly isn’t for everyone; it is slow and, again, mostly ambient. But for those of us who adore post-rock, who seek soundscapes instead of catchy tracks, this one is a must-have.